Show your support for Child Abuse Prevention Month by planting a pinwheel garden at your home or business. CASA is excited to team up with our amazing community partners to assemble these kits! Use the form below to purchase a kit. Each kit comes with a sign, storage bag, 20 pinwheels, and a folder of information and resources. Kits are for pick-up only at one of our local offices. Because of the size, we are unable to ship them. Use this form if you would like to pay when you pick up your kit with cash or check. Thank you! Our staff will contact you to arrange for pickup and payment for your kit! Follow us on Facebook for ideas, events, and inspiration for taking action to prevent child abuse. This fun and helpful calendar will give you ideas of an activity for each day in April to participate in Child Abuse Prevention Month. Print it out, save it digitally, or check out our Facebook for daily activities! 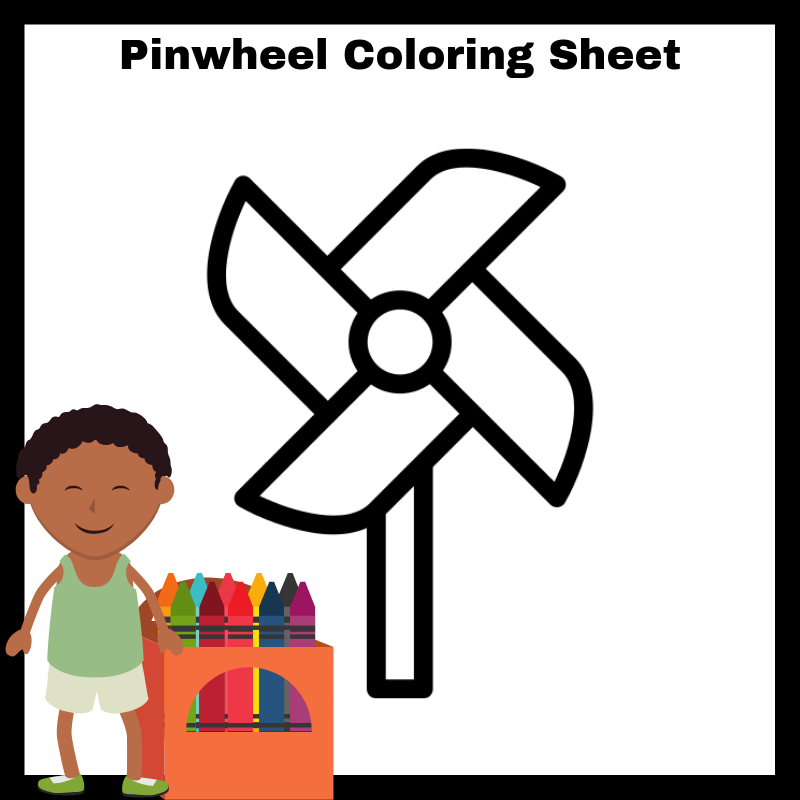 This coloring sheet provides information about identifying abuse and neglect in child appropriate language in a fun coloring sheet. Blue Sunday is the last Sunday in April (April 28th this year), where faith communities commit to praying during the service for victims of child abuse and those who rescue them.